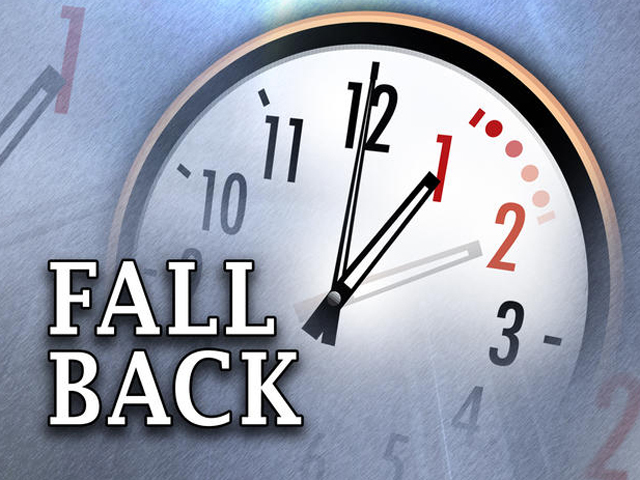 Many people get excited about the Fall time change, because it means gaining an extra hour of sleep. I used to feel the same way when I didn’t have children. But now, I actually dread the fact that we have to turn the clocks back an hour, because though we may get adjusted to it pretty quickly as adults – children are a different story! I run a pretty tight ship when it comes to staying on schedule. We have a regular daily routine from the time we get up in the morning to the time we go to bed at night. Even the baby naps pretty much at the same time each day. All the kids (ages 5, 3, 1) go to bed at the same time – by 7:30pm. They also wake up at the same time everyday – by 6:30pm. The baby actually gets up a little earlier for his bottle. And as most of you moms know, children oftentimes have this internal clock inside of them that tells them when to get up. It doesn’t matter what time they go to bed either. They usually always get up at the same time. So, this morning, instead of getting up at the usual 6:00am in the morning, the baby was up at 5:00am in the morning. Today I just kept saying to my husband – “How am I going to deal with having to get up so early?” I guess being pregnant makes this whole time change thing worse, because I am just plain tired as it is. I need sleep more than anything right now. I don’t mean to complain, but I just felt like I needed to share about this frustration and wanted to hear your thoughts. Does it take your kids a while to adjust to daylight savings time? How do you make the transition easier? I’m dealing with it for the first time (my daughter’s 7 months old), and it’s awful! We were up at 5:30 yesterday morning – and 5:15 today. She had her first morning nap before it was even time to leave for daycare. This might just kill me if it continues…and I’m not even pregnant! good luck! .-= amber´s last blog ..A Glimpse Into the Way the Other Half Lives. =-. We also struggle with time changes. Although there isn’t a lot we can do to fix it easily, I do have some tips I’ve adopted over the years. First thing is that I acknowledge it will take at least a week to adjust. I find giving myself a longer goal keeps my frustrations at bay. Also, I try to adjust our evening schedule by 15 minutes every few days. To clarify: if bedtime is 7 p.m., on Sunday night (after change) we try to stay up until 7:45. We don’t usually make this goal, but we allow our bodies the flexibility. By wearing the children out, it helps their internal a.m. clock adjust to the time change. On Tuesday we stay up until 7:30, or when we tire, whichever comes first. Thursday will be 7:15, etc. Then by the following weekend we are usually back to our traditional morning & evening routines. Not a perfect system, but it lessens the battles & helps my early rising children to adjust. Good luck finding your family’s system. .-= Heather´s last blog ..Brandi Carlile Review – Give Up The Ghost =-. My kids are at a loss…. My girls get up about an hour early the first day or so…however they adjust the next day and we’re back to normal. It doesn’t normally effect me or our family…though I know many that it does! Good luck getting back to normal. .-= Amanda @ High Impact Mom´s last blog ..Wordless: Happy Birthday Poppie =-.